Oakhill Children's Centre is a newly built childcare centre delivering high quality and inclusive early education and care for children from birth to five. Our team of nurturing and experienced educators will partner with you to develop a play-based learning program that helps your child realise their potential. Even more importantly, our educators will ensure your child is safe, secure and happy while at Oakhill Children's Centre. An intimate home-like setting that ensures children feel happy, calm and ready to learn. Bilingual educators that reflect the diversity of our families and expose children to exciting new cultural learning experiences. Parents and educators can share and receive live updates about children’s learning from anyway via the Storypark ePortfolio. Busy parents can take advantage of our on-site maternal and child health nurse. Excursions, meals and nappies are included within our daily childcare fees, which means there are no hidden costs for families. Oakhill Children's Centre vacancies change frequently. Register your interest in our centre here. Play is the best way for children to learn. That's why at Oakhill Children's Centre, your child's early education program will incorporate a variety of open-ended and structured play-based experiences. Activities will be guided by your child's interests and capabilities, ensuring your child gets the most out of their childcare experience. All our programs are based on the National Early Years Learning Framework “Belonging, Being and Becoming” and the Victorian Early Years Learning and Development Framework. Our integrated kindergarten program is led by our wonderful bachelor qualified teacher. It features a variety of play-based learning experiences that help prepare children for the transition to school. Oakhill Children's Centre's indoor play spaces are filled with an abundance of natural light, providing a bright and welcoming environment. Our rooms feature an open-plan design that enables teachers to set up flexible play experiences that foster children’s imagination, curiosity and exploration. Your child’s program will be delivered by Oakhill Children's Centre's experienced, passionate and nurturing teachers. Our educators' number one priority is ensuring each child receives the best possible childcare experience. Educators will work in partnership with you – your child’s most important teacher – to develop an early learning program that reflects and builds on your child’s interests, curiosities and skills. Educators will also recognise and celebrate your child's unique background and culture, incorporating these into their childcare program. Educators will share live updates about your child’s development via Storypark - a secure, login-based ePortfolio. Documentation may include photographs, videos, learning stories, and samples of your child’s work. Storypark will also allow you to contribute to and comment on what your child is doing while in care. You can share your family activities and your child’s updates with educators via Storypark too. If your child has additional needs, our teachers can connect your family with specialist support. 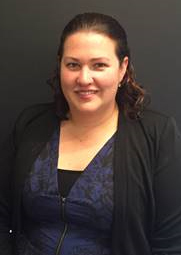 I’m Alyx Knox, the new Centre Director at Oakhill Children's Centre. I've been working in the early years sector for over 12 years. During this time I have undertaken my Advanced Diploma of Children's services and been a part of many community focus groups. I believe communication, understanding, and listening are the key foundations for strong leadership. My personal philosophy for the early years is, ‘families are the primary carer, and with the right support from an early learning centre, our children can grow, learn and explore their world to achieve their full parental.